Wondering how to register on the NNU Income Program, then wonder no more. 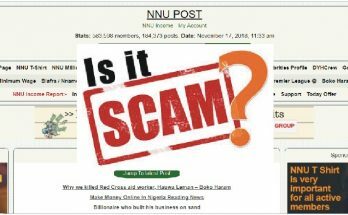 This post addresses NNU registration and how to make money online in Nigeria with NNU.ng login daily. But, first, click play to watch the video below to get a quick overview and learn everything about NNU and how it works. Below is the step by step procedure to register with NNU income program. Step One: Go to NNU.ng website. Step Two: When the site opens, fill in the registration form with your personal information. Below is an image of the registration form of the NNU Income Program. Fill the form as described above and go to the next step. After you have filled the registration form, tick the dot beside “Paystack” and tick the check-mark beside “I have read and agree to the website terms and conditions”, and click on Make Payment. After you click on Make Payment, the above confirmation page will be displayed. At this point, your membership with NNU Income Program is pending until you make payment. You will then need to proceed to make payment with your ATM card through Paystack or Using Coupon. 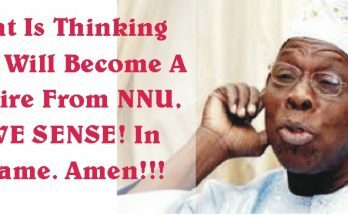 The next thing to do is to make payment to activate your NNU account. 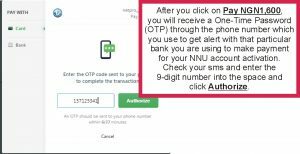 There are two methods to make payment and activate your NNU account – via ATM card and purchase of Coupon from the NNU accredited coupon distributors. If you visit the About NNU and How It Works page, you will see a list of all the accredited NNU agents for the purchase of coupons. NOTE: I prefer using Paystack to make payment to activate an NNU Income Program account. This is because the account will instantly and automatically be activated after payment. Hence, we will be using the ATM card method. You will need to enter your card details as shown in the image below and Click on Pay N1,600. Thereafter, you will receive a One-Time Password (OTP) with the phone number which you use to receive bank alerts from the bank through which you desire to make the payment. See the image below for further clarification on this. After successfully making payment with your ATM card, you will receive a transaction completed notice on your screen. 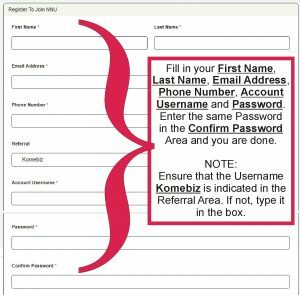 By completing the whole process above, you would have successfully completed the NNU registration process and become a bona find member of the NNU Income Program community. 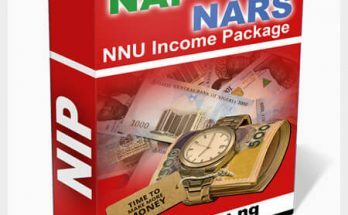 You can subsequently begin to make money online in Nigeria by simply clicking on news links and doing other simple activities on the NNU Income Program.